Is the former talk show queen desperate? 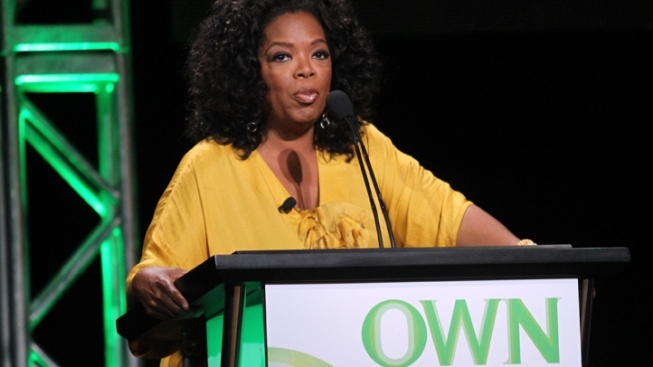 Oprah wants Nielsen viewers for her network. Television networks need viewers so they can charge advertisers for access to their audience. Most TV ratings come from a small segment of the population — those who have tracking boxes hooked up to their televisions. Oprah Winfrey, once the queen of daytime television, knows this all too well. Sunday night, during the Grammys, Oprah let slip on Twitter that she needed a boost for her struggling OWN network. "Every 1 who can please turn to OWN especially if you have a Nielsen box," Oprah tweeted to her 9.2 million strong Twitter following. The tweet has since been removed. The tweet immediately drew a critical response from some in her audience who called her "desperate" and "unethical" and other media watchers who said worse. Noted new media critic Jeff Jarvis tweeted, "Isn't that, uh, illegal?" Sort of is. The message actually violates Nielsen rules which clearly state that networks won't openly solicit Nielsen viewers. Winfrey is beholden to such a contract. Oprah had her hand slapped by the ratings organization. "I removed the tweet at the request of Nielsen," Winfrey said in a statement Monday. "I intended no harm and apologize for the reference."